iKode HelpDesk X is the easiest customer email management software on the planet to give the customer the most impressive service experience via email, which can be seen as the fastest and most convenience customer care information carrier. Automatic can be seen as the symbol of the information era. All the programs can be designed perfectly by the programmer to solve the problems automatically, just like give the computer the intelligence. When one client submitted a ticket to a specified department in the software back stage, and at that moment, the staff in the department was offline, the system would first check which staff was on-line and assigned the submitted ticket to that staff to solve the problem on time. Powerful software for encoding your PHP source code. Qweas is providing links to iKode HelpDesk X PHP 3.2 as a courtesy, and makes no representations regarding iKode HelpDesk X PHP or any other applications or any information related thereto. Any questions, complaints or claims regarding this application iKode HelpDesk X PHP 3.2 must be directed to the appropriate software vendor. 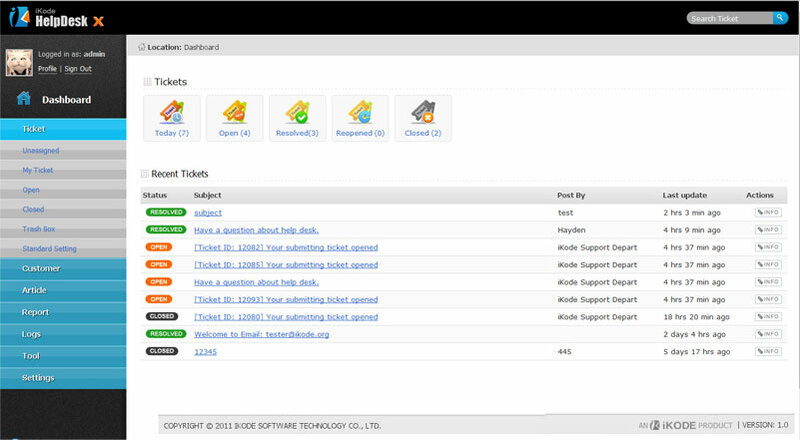 You may click the publisher link of iKode HelpDesk X PHP on the top of this page to get more details about the vendor.